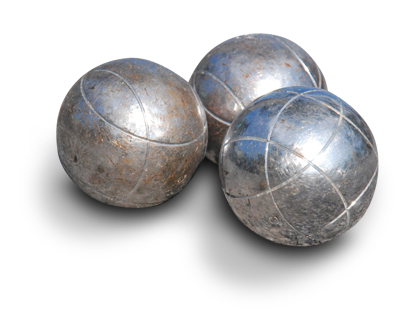 Petanque is enjoyable, entertaining and accessible to all New Zealanders. We are a values-based organisation that promotes Continuous improvement, Integrity, Enjoyment, Personal leadership, Relationships: trust, support and challenge and lastly Service. We believe that petanque is distinctive in its nature which offers many opportunities for all. In 2002 our organisation had begun its journey amongst the Petanque fraternity. Playing out of Victoria Park, the club took on the venues location for its name-Vic Park Petanque Club as it was formally known then. During this time the club grew its membership base even without a club facility achieving many club regional titles and with many members gaining national representative honours. The venue became an iconic place for all Petanque players as they would remember its energetic environment with the overpass bridge and staggering Skycity tower as its backdrop. As fate would have it, 2007 meant that we had to relocate due to the construction of the underground tunnel and Gribblehurst Park in Sandringham became our new home. In 2012 the club was given the opportunity to work alongside the Mt Wellington Lawn Bowls Club and inhabit an unused green generously donated by them. We are excited with this development and we foresee our relationship to be servants of our community. Our name `Panmure Pioneers` was drawn upon the unique heritage of the area of Panmure. History has shown that this particular region was known for its early settlers where hard work, determination and perseverance was needed to develop the township. Years later, the Panmure township has continued this momentum with the increase of population, businesses, churches and schools. A true testament to our Pioneer Spirit. Simply drop us an email or give us a call regarding your inquiry about how to join. We will be more than happy to discuss membership details or whatever your inquiry may be. Better yet, if you feel the urge then drop into the club itself and by all means please do so. One of our friendly members will direct you to the either a club representative or to whatever information you need. Even better join us on our club nights which are every Friday afternoon from 3pm-6pm for a game or two. We look forward to hearing from you. To prove you're human, please tick the box below. Pioneers to Host 3 National Tournaments in 2018 in October! We believe in growing strong relationships with our sponsors. We have many sponsorship opportunities, including, logo placement and print/web media. We can offer unique exposure through our game and network connections. Provide a social & competition experience as a hands on event involving your company to help with team cohesion. We are also open to new ideas on how Panmure Pioneers Petanque Club as a platform can be tailored for your needs.